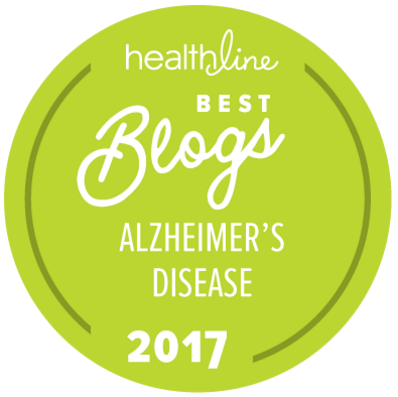 »A Day in the Life of Dementia»The Inability to Recognize Dementia: Info I Could Have Used YEARS Ago! 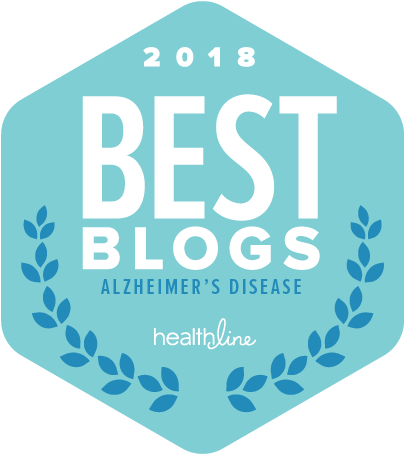 The Inability to Recognize Dementia: Info I Could Have Used YEARS Ago! When I’m asked about my care giving journey, I tend to gloss over the first few years. They were incredibly tough because my parents didn’t recognize they had dementia, The term is called anosognosia. I wish I had know this YEARS ago. I hope it helps you to know that it is a medical term and is very common. Anosognosia affects up to 81% of people with Alzheimer’s and some studies show up to 77% of patients suffer anosognosia after a stroke. My mom had a stroke and my dad had Alzheimer’s. When my parents were still driving and trying to manage their household and checkbook, we were very concerned and told our parents. They were dismissive, angry, and became paranoid. It all makes sense to me now. 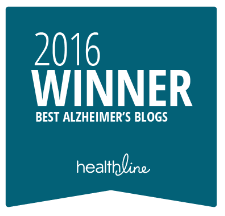 Back in August, 2012, I wrote a blog wondering How Many Times Can you Hear You Have Dementia? I kept trying to find the right doctor, or test results to help my parents understand why we were worried for their health and safety. I finally realized they couldn’t or wouldn’t accept the diagnosis. From that point forward I just managed around the issue and worked in the background to find ways to help my parents. It lead me to understand why the first doctor that diagnosed my dad told me “sometimes you just have to be sneaky.” I finally realized what he was trying to help me understand and learned how to help without being disrespectful. Trying to help someone with dementia who doesn’t recognize they have it, and are unable to, can be very difficult. This blog started so I could vent, as well as share what I was learning. I’m surprised and pleased to know there is now a term for it, but also, gotta tell you a little frightened by this information. Because I was worried I might end up in my parent’s shoes, my husband and I set up our estate plans to put in allowances for these issues and I have letters to myself the kids can mail to me. I am hoping that history won’t repeat itself in more ways than one. Thank goodness I’m a lifelong learner. Absorbed. Never heard of the word before. The issue for me is all the Memory Service advised us to do was adjust to the new reality. Almost: ‘you are on your own mate’. So it doesn’t really matter about late diagnosis if you are left to get on with it! The issue as far as I am concerned who is there to assist addressing that steep learning curve to becoming a supportive Care Partner? It is vey isolating. I was lucky to have siblings to commiserate with. We just thought our parents were being stubborn and a little selfish. The learning curve is steep and the sense of loss great. It seems we learn so much after the fact, I had not heard of this either. At least we can pass it along to others! This touches a chord for me. Luckily my husband agreed to see a neurologist early on. Although he has not or maybe cannot acknowledged the diagnosis he received as more than “a little memory problem,” I knew and therefore have been able to manage the situation. Perhaps it is easier for a spouse to deal with than a child. I think in some ways it’s easier for a spouse, but more difficult in other ways. This is really interesting, Kay. I’d never heard the word before, though I’ve heard of people being in denial. Does Anosognosia apply only to the person who has the condition? I’m wondering because in our family’s case, it was the spouse who denied anything was wrong. This meant all offers of help and support were refused by her because ‘we’re doing fine, thank you’ was her inevitable response. Until the day she walked out. Quite – and she was such a regular church goer, too. Thanks Heike – I was happy to know there was a medical condition and understood it as such and not a psychological defense. The other piece of denial mentioned didn’t refer to the person with dementia, but the family member who wanted to ignore a dementia diagnosis! Thank you for the detailed note. Thanks for your explanation, Heike. As Kay, mentioned, I was asking the question because it was my stepmother who was in denial about my father’s dementia. Ahhh, this is what my dad has, a complete denial due to an inability to understand how compromised he has become. The social workers suspects frontal lobe isues. It’s very difficult, and very different than my mom’s vascular dementia. Sorry for typos – it’s very late here. And sorryif I sound so negative and bitter but I am. You always provide such good and helpful information. Thank you. You are doing such a wonderful service to others through your blog. Thank you! It helps me too! Aka : doctor amador’s book “I am not sick I don’t need help”. Changed my life. Thanks for sharing, I’ve never heard of this book. While it is geared to mental illness, I can understand how it could apply. Thank you!